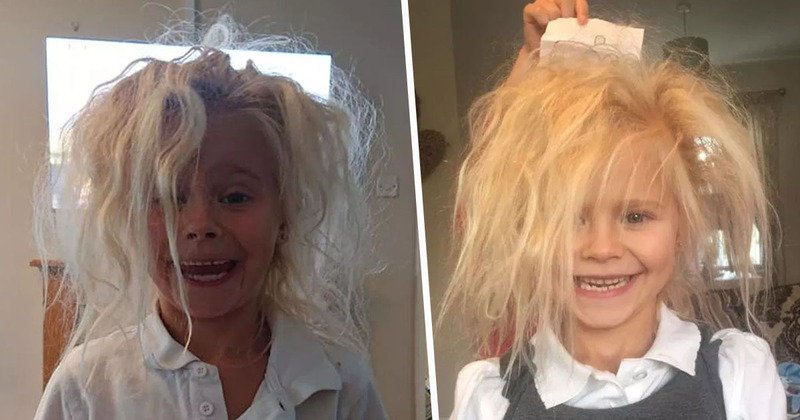 A seven-year-old’s wild hair has landed her with the nickname ‘troll doll’ from her mum, as her ‘uncombable’ mane gives her such a distinct look. The voluminous hair isn’t just a product of the kid’s wild lifestyle, nor is it because she’s a massive fan of The Cure. 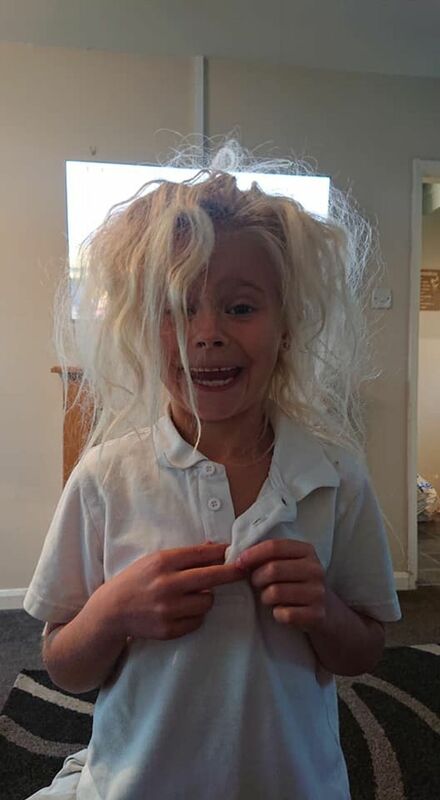 It’s actually caused by a real condition called ‘uncombable hair syndrome’. 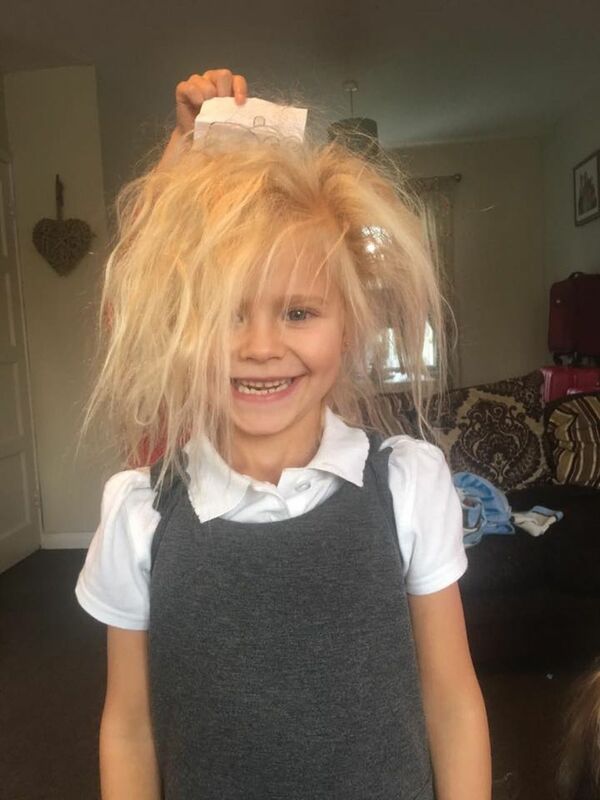 The young girl, Wynter Seymour, was born with thick, jet black hair but suddenly started sprouting white blonde ‘fluff’ all over her head which made her look like a ‘chick’, according to her mum Charlotte Seymour, 33. According to Rare Diseases, uncombable hair syndrome (UHS) is ‘a rare disorder of the hair shaft of the scalp’, where the hair – usually blond or straw-coloured – is ‘disorderly, stands out from the scalp, and cannot be combed flat’. Sticking out in every direction, Wynter’s mum Charlotte admits her daughter’s ‘crinkly’ mane resembles the Troll dolls. 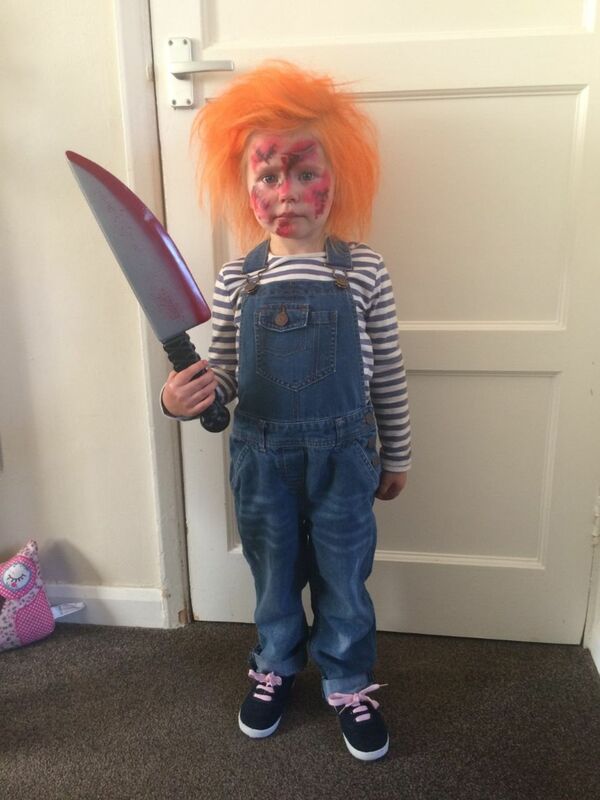 However the young girl’s hair has even earned her the nickname ‘Chucky’ as it reminds her mum and dad Michael, 35, of the possessed doll from infamous horror film Child’s Play. Charlotte and Michael even dressed Wynter up as the scary movie character one Halloween as she has the doll’s ‘temper’, too. While Wynter’s wild hair will probably calm down as she gets older, Charlotte says her ‘confident’ daughter has embraced her unique look and loves the attention she gets for it. Her hair is crazy. It’s almost like it clumps together and in the middle she’s got a million mad partings. You really can’t get a comb through it. For school I just grab it and stick it up in a bobble to keep it out of her way. She does look a bit like a troll with it all in a ponytail. But doing anything else with it isn’t worth it – it’s too painful for her. Thankfully, the rare condition doesn’t bother Wynter too much. She does get a lot of attention because of her hair and people even ask ‘what’s wrong with her hair’ but Wynter’s not bothered. She embraces her hair and I think she enjoys the attention. She’s very confident. She is the funniest kid and an absolute character. She’s just one of those kids. If it was going to happen to somebody, it was always going to happen to Wynter. Charlotte and Michael have two other daughters, though they don’t share Wynter’s rare hair. 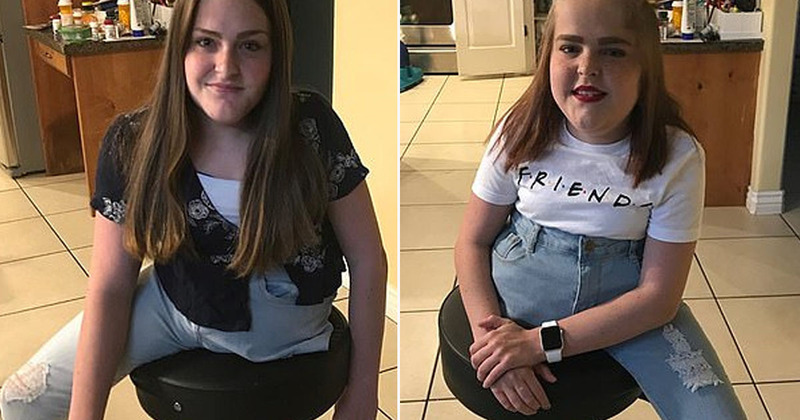 The parents have tried everything to tame the hair from sticking out, from baby oil to straighteners, but since she was diagnosed with UHS they’ve just let it be, as kids usually grow out of UHS after puberty.